Be one of the first to see two episodes of Babylon Berlin on the big screen and follow young police inspector Gereon Rath through his investigation and get a glimpse of the “Roaring Twenties” of Berlin, fueled by drugs, politics, murder, art, emancipation and extremism. The City of Berlin and the City of Los Angeles, two of the most exciting places in the world, connected through their inspiring and trend setting art scene, their social freedom and openness and their integration of different cultures and religions will join each other to celebrate the 50th Anniversary of their Sister Partnership with events throughout September and October in Los Angeles, culminating with the International Premiere of Babylon Berlin. Babylon Berlin, the much talked about new TV series, co-written and co-directed by BAFTA & Golden Globe Nominated Tom Tykwer, with Achim von Borries and Hank Handloegten, will unite filmmakers, talent and politicians from both Berlin and Los Angeles at the International Premiere of the epic series in Downtown LA. The show offers a glimpse into a flourishing and decadent Berlin, set within the Golden Twenties. A time that is not only aesthetically astounding, but truly a period where German arts, culture and sciences enjoyed immense liberties. While this visual façade marks this independence, well depicted in the TV Shows cinematography and art deco, the plot focuses on detective Gereon Rath and his criminal investigations, that will forever change the lives of both Gereon and his closest associates, primarily Charlotte Ritter, Rath’s assistant, a fierce, smart and ambitious female protagonist ahead of her time, who is determined to become a detective. Babylon Berlin features the full spectrum of Berlin, fueled by drugs & music, corruption & politics, and murder & extremism. The backdrop for the festivities will be the iconic and beautiful The Theatre at Ace Hotel. It’s where, in the late 20’s, a group of visionary iconoclasts from Hollywood’s Golden Age, such as Charlie Chaplin and Mary Pickford, erected the home of United Artists, the film studio acumen and rebellious ingenuity helped to reshape the American cinematic landscape. Much like Babylon Berlin, which will bring back the “Roaring Twenties” to LA’s Broadway district. The event is supported by X Filme, Medienboard Berlin-Brandenburg, VisitBerlin, The Senate of Berlin, airberlin, IHK (Industrie und Handelskammer) Berlin and ARRI. The series stars Volker Bruch (The Reader) as “Gereon Rath” and Liv Lisa Fries as “Charlotte Ritter”, in addition to, Peter Kurth, Leonie Benesch, Lars Eidinger, Mišel Matičević, Fritzi Haberlandt, Jördis Triebel, Christian Friedel, Hannah Herzsprung, Benno Fürmann, Jeanette Hain, and Marc Hosemann. 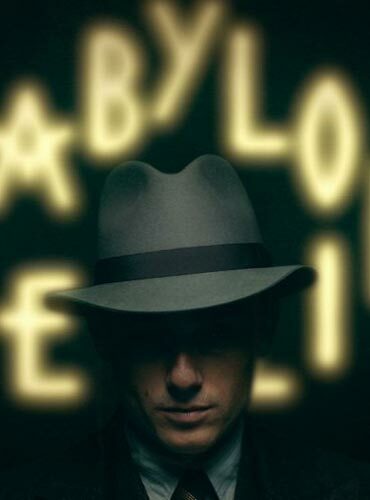 Babylon Berlin is produced by X Filme Creative Pool, ARD Degeto, Sky and Beta Film. And supported by Medienboard Berlin Brandenburg, Film- und Medienstiftung NRW, German Motion Pictures Fund and Media Programme Of The European Union.